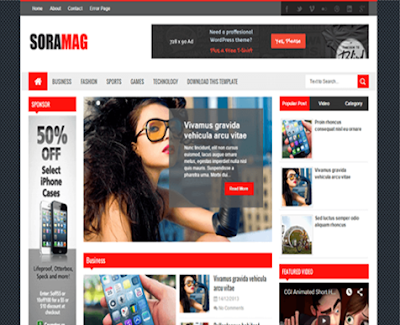 Sora mag templates are very popular and high quality templates created in the internet. 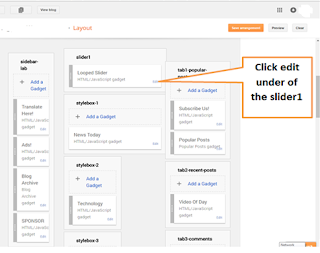 Many site and blog builders who are also beginner question how to install this image slider in blogger blog. There are users of internet questions regarding the installation of image slider in Google Plus. This template is created and complete blogger themes for news and magazines. But many also use this in other category like me as I install also on my site. This template is also responsive template and well created and attracted color that blind in red and black. This template is SEO friendly on a site without technical errors and also a mobile friendly. You can buy this template in official site of this template, the Soratemplates site. You can download it freely or buy it in a premium option, the price is very affordable, it's only 6.95 dollars. About the technical support as I experience during the installation, they provide instruction using the html. But personally you need skills or experience how to use the HTML editor of your blogger blog and your blogger dashboard. There are features you will benefit after you downloaded this template, like responsive, SEO friendly, mobile friendly, custom 404 page, image slider, browser compatibility. And one of the features need to install and configure is the slider for your popular post or new post. 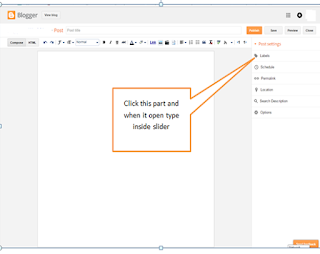 At the left panel or menus, click layout (You must create first the layout before it will run in your blogger site) see the image in the post picture above. 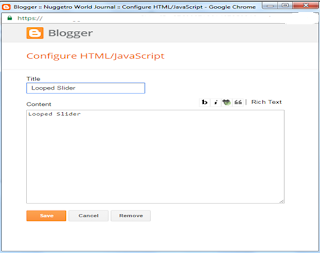 Once the layout widgets open type Looped Slider as title and in the inside also as text. See the image below. Then don't forget to click save button below of your widgets. After you save it go back to the menu and click post. You need to create labels in post settings to make the images run normally in image slider you need. Click at the top "Create New Post". Once it open, at the right side of your screen under the Post setting click labels. Type inside the box called "Slider"
If you follow this carefully as it is impossible that it will not run. 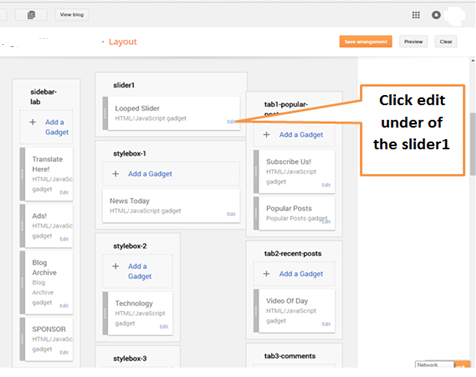 All you need is to put slider labels of all the posts you want to put in your slider. That's all bro, if you have questions, you need only to type it in the comment bar below. I will try to answer and share with you how to install this popular blogger template. Very useful information for the blogging. blogging is very important for the Business. Blogging is Main part of Search engine optimization. Good sharing. I was tried this way. but slider now showing. 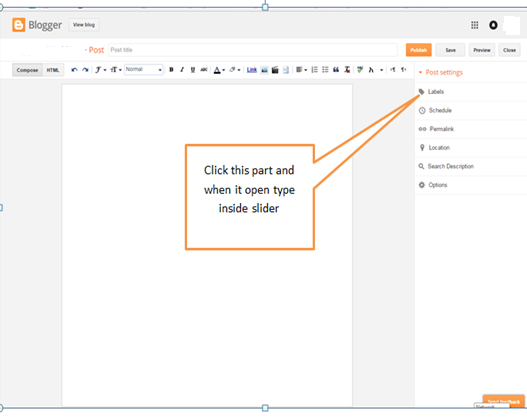 Ok, so put label called slider in all your feature post. This time we can't hide the slider label. It will show once the post is viewed.